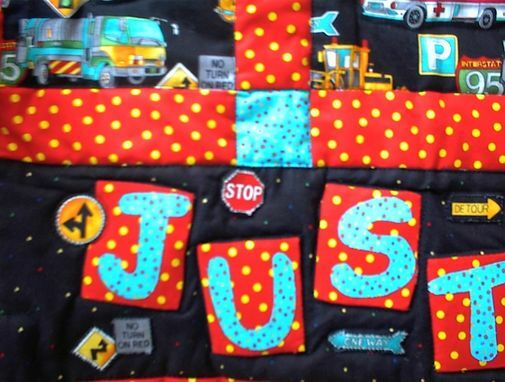 Toni designed and crafted a beautiful quilt wall hanging which has become a family treasure. She has great design ideas and beautiful workmanship. I would absolutely trust her to complete future projects. 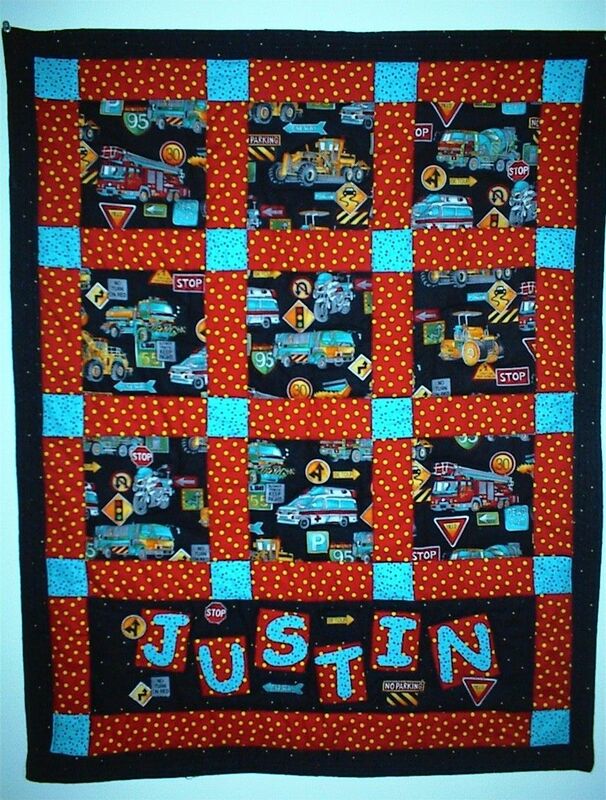 Custom wall quilt for a small boy featuring colorful truck-printed fabric. Sashing an nameplate done with coordinating fabrics. Letters are added with machine applique technique. 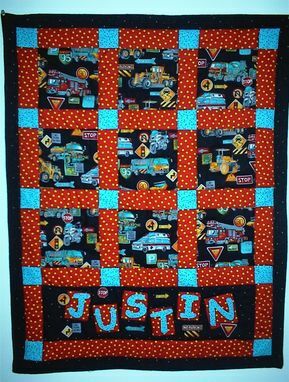 Machine quilted and finished with a hanger sleeve. A fun addition to a little boy's bedroom or playroom. Almost infinite number of motifs and colors can be used for boys or girls! Every maker has a story. Be a part of Under the Dining Room Table's story by placing an order, leaving a review, and seeing your review appear here.